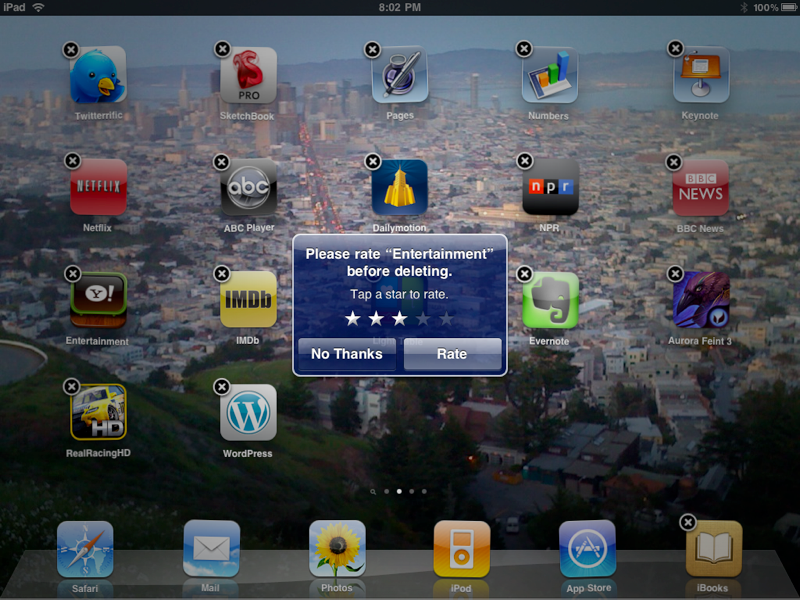 The "rate on delete" iPhone prompt that greets users every time they remove an app from their iPhone is getting deleted. The "feature" was added by Apple in iPhone OS version 2.2 as a way to stop users from rating apps that they had not downloaded. However, in the time since then developers noticed that the prompt actually had a negative effect. Apparently, since the feature was being used predominantly by people who were dissatisfied with the app, and not by satisfied users (who are never prompted), results were being skewed toward the one star side of the scale. Oops! In any event the prompt is being deleted, just like that Google button.